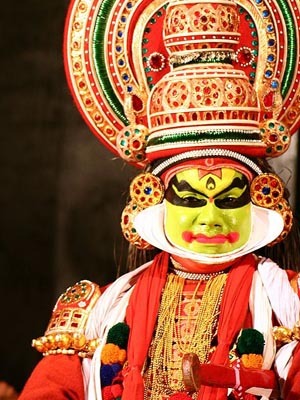 It is believed that Kathakali originated from "Krishnanattam" a dance form dedicated to Lord Krishna life and activities which was created by Zamorian of calicut Sri Manavedan Raja during 1585-1658 AD, Once Kottarakkara Thampuran, the Raja of Kottarakkara who was attracted by Krishnanattam requested the Zamorin for the loan of a troupe of performers. Due to the political rivalry between the two, Zamorin did not allow this. So Kottarakkara Thampuran created another art form called Ramanattam which was later transformed into Aattakatha. Krishnanaattam was written in Sanskrit, and Ramanattam was in Malayalam. 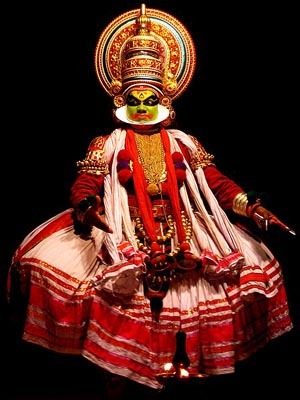 By the end of 17th century, Attakatha was presented to the world with the title ‘Kathakali’. Kottayathu Thampuran composed four great works — Kirmeeravadham, Bakavadham, Nivathakavacha Kalakeyavadham and Kalyanasaugandhikam. After this the most important changes in Kathakali were brought about through the efforts of a single person namely, Kaplingad Narayanan Nambudiri (1739–1789). Manipravalam is termed a mixture of Sanskrit and Tamil is the language of the songs used for Kathakali.Though most of the songs are set in ragas based on the microtone-heavy Carnatic music, there is a distinct style of plain-note rendition, which is known as the Sopanam style. A Kathakali actor uses immense concentration, skill and physical stamina, gained from regimented training based on Kalaripayattu, the ancient martial art of Kerala, to prepare for his demanding role.